Foreign Countries – Do You Love It Enough to Buy Property? February 6th, 2013 by The JetSetter Team | Comments Off on Foreign Countries – Do You Love It Enough to Buy Property? The following doesn’t necessarily apply to expatriates seeking to buy a home abroad for reasons that come down to more than profit and loss on the bottom line. For those who have a yearning to invest in foreign income producing properties simply for a net income gain motive, pay attention to what we’re about to say. 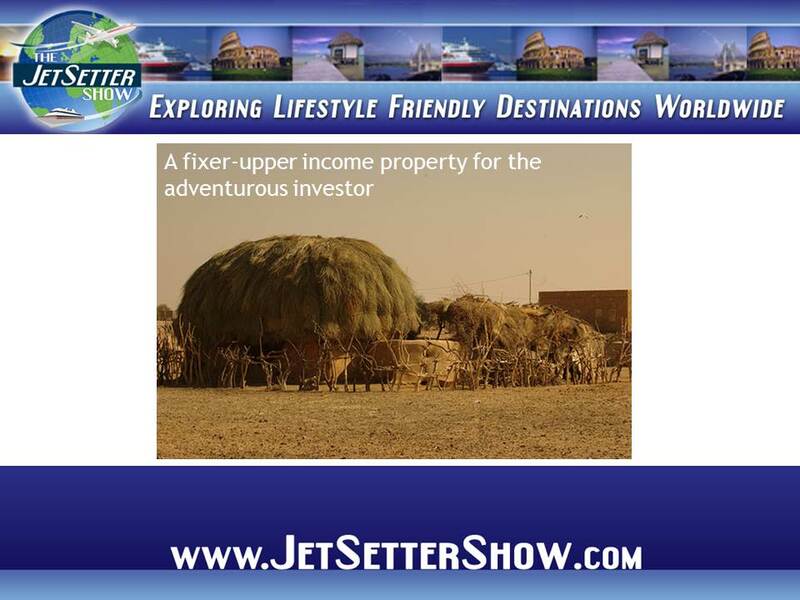 Jetsetter Show founder and host, Jason Hartman, has visited 64 countries looking for investment properties to buy, and he still hasn’t pulled the trigger. and old dictatorships long ago realized that chaos is their ally. After literally traveling to dozens of countries, Jason can definitively state that buying investment property in attractive regions is a numbers game, and the numbers simply do not work. Regardless of what you might hear on your favorite financial cable television network, the kind of real estate you would want to buy are priced too darn high.